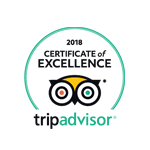 We feel both honoured and privileged to be allowed to operate in the unspoiled environment of the Abel Tasman National Park. The area was settled by three-local iwi; Ngāti Rārua, Ngāti Tama and Te Ati Awa. Each day our guides pass by the poupou (carving) of the rangatira (chieftain), Turangāpeke, the ancestor of Ngāti Rārua. The poupou of Turangāpeke has been placed in Anchorage Bay so visitors may gain an understanding of the history the area holds, that extends beyond the arrival of Abel Tasman in 1642. Receiving permission from the local iwi and DOC (The Department of Conservation) were the first steps taken for us to operate in this stunningly beautiful environment. 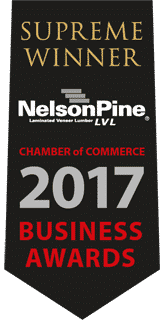 We consider ourselves very fortunate to be allowed to operate in the national park as a Department of Conservation Concessionaire. With this privilege comes a responsibility to take care of the environment and to minimise our impact, which we monitor in conjunction with DOC. By taking our guests into this profoundly beautiful and unique environment, we are in a position where we can create awareness by sharing our stories and knowledge. We explain how anyone can enjoy the beauty of the environment in a responsible way. We explain how important conservation is and how projects like the Birdsong Trust and Project Janszoon protect and restore the native flora and fauna. On all our tours we adhere to the 7 ‘Leave no Trace‘ principles. 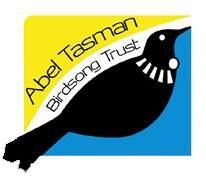 We support the Abel Tasman Birdsong Trust in their efforts to protect and enhance the biodiversity and to bring back and enhance the native birdsong. 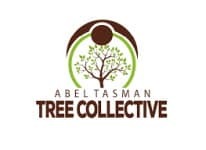 The Abel Tasman Tree Collective is a collaboration between the commercial operators and accommodation providers of the Abel Tasman region. We enable visitors to the region to contribute to the restoration of the area and minimize the impacts of their carbon emissions while visiting and enjoying this special place. Hidden deep in the earth’s crust surrounded by walls covered in moss and ferns, you’ll find mind blowing combinations of showering waterfalls, deeply carved out caves and deep clear pools of greens and blues. All these beautiful sights pull you deeper into the canyon to see what’s around the next corner, all the way down to the valley floor. This remote and spiritual environment combined with the pure adrenaline you get from leaping off cliffs, sliding down water polished chutes and abseiling through thundering waterfalls, drives us to gear up and venture into our canyons. Just the two of us on a last minute booking and the +1 was a little nervous! The guide (Toine) was great and doubled as a nature and history guide. We both really enjoyed it. Well paced, individualised, super fun and always felt totally safe whilst at the same time exploring some places that felt a bit wild and unexplored.